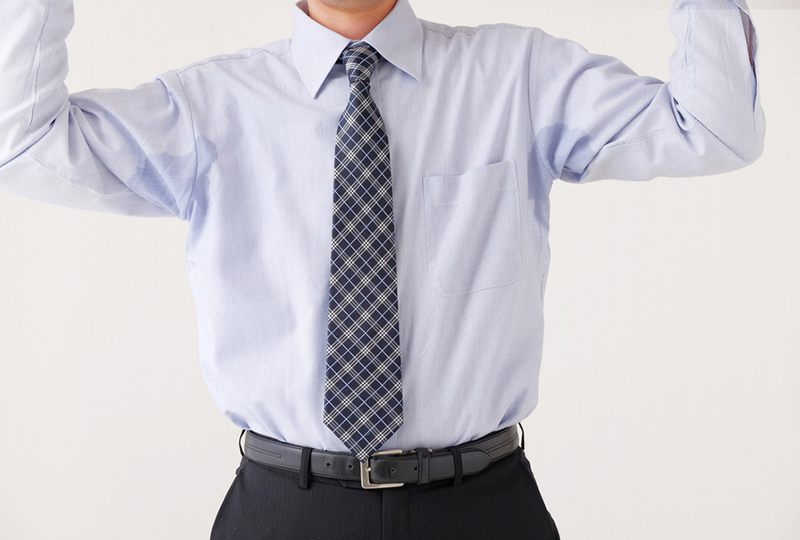 Sweating or Hyperhidrosis is a common under recognised problem in the community. Excessive sweating affects 3% of the population and can be extremely distressing for patients causing physical and social discomfort and also affecting activities of daily life and work. 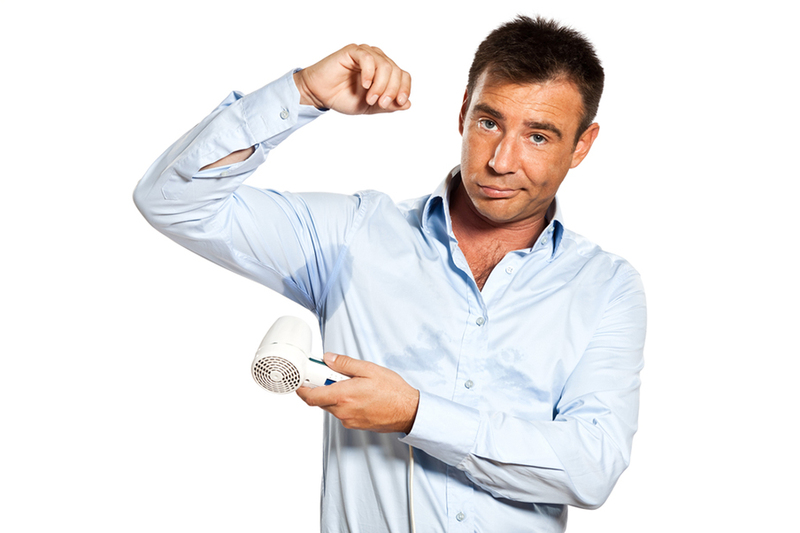 Excessive sweating can be localised to areas eg palms, soles and axilla or it may be generalised. After assessment for primary and secondary causes by a Dermatologist there are a number of treatments that can be used to reduce sweating. Injectable Botulinum injections are indicated for armpit sweating not responsive to topical antiperspirant ( egDriclor). This treatment is eligible for Medicare and PBS rebate (administered by specially approved dermatologists (and some other specialists). The treatment leads to significant reduction in sweating lasting 4-12 months. Discomfort is reduced using pre injection anaesthetic cream , ice and the use small gauge needles. 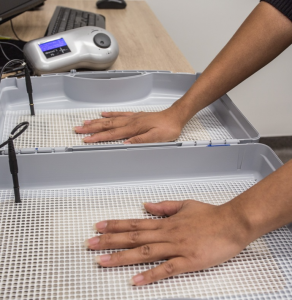 Iontophoresis is used for treatment of excessive hand and foot sweating. The hands or feets are placed in a solution of tap water, salt water or glycopyrrolate solution. An electric current is passed through the solution with the hands and feet in contact. The treatment is administered daily or second daily until improvement is noted. The treatment takes 20min for each areas treated. Often 6-10 treatments are required before improvement is noted. At Stafford our nurses will supervise and teach you how to use the machine. Once you are comfortable with administering the treatment you may lend a machine for trial at home for a month. There is a small fee for hire of the machine. If you have improved after 1 month patients can purchase a machine from the manufacturers directly. Botulinum injection for armpit sweating is an effective treatment when it is not responsive to topical antiperspirant ( eg Driclor). Success rates are very high. The definition of response is defined as a 50% reduction in sweat. Over 90% of patients are reported to acheive response at 1 week with 82% still responding at week 16. The treatment leads to significant reduction in sweating lasting 4-7 months. The medicare rebate for this treatment now makes it an affordable option for treatment of excessive armpit sweating. You Dermatologist will customise a treatment plan to suit your presenting symptoms.